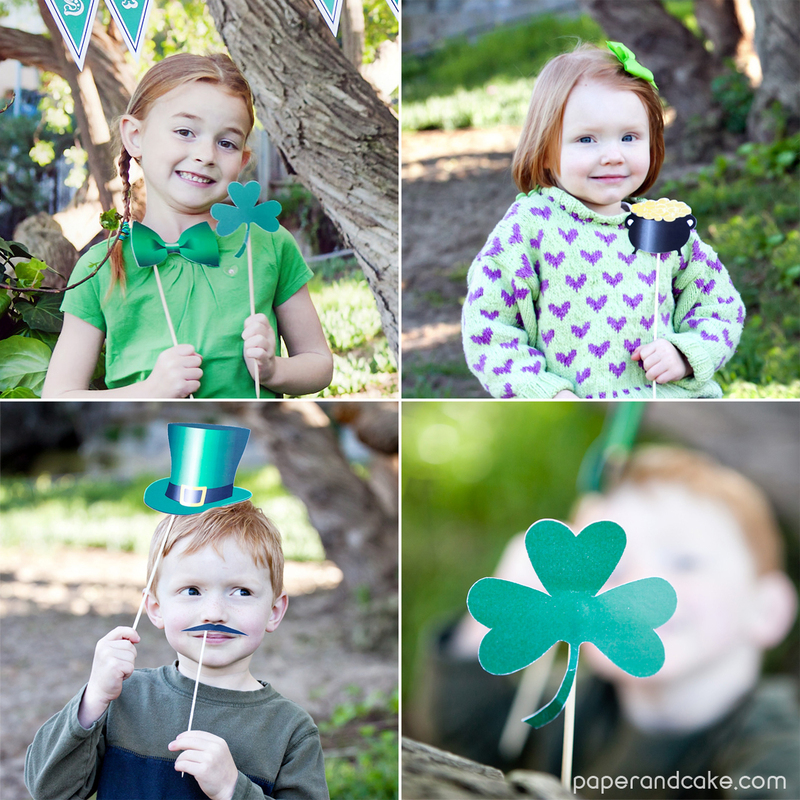 st. paddy’s photo props + new additions! We do photo booth props and we do them well! 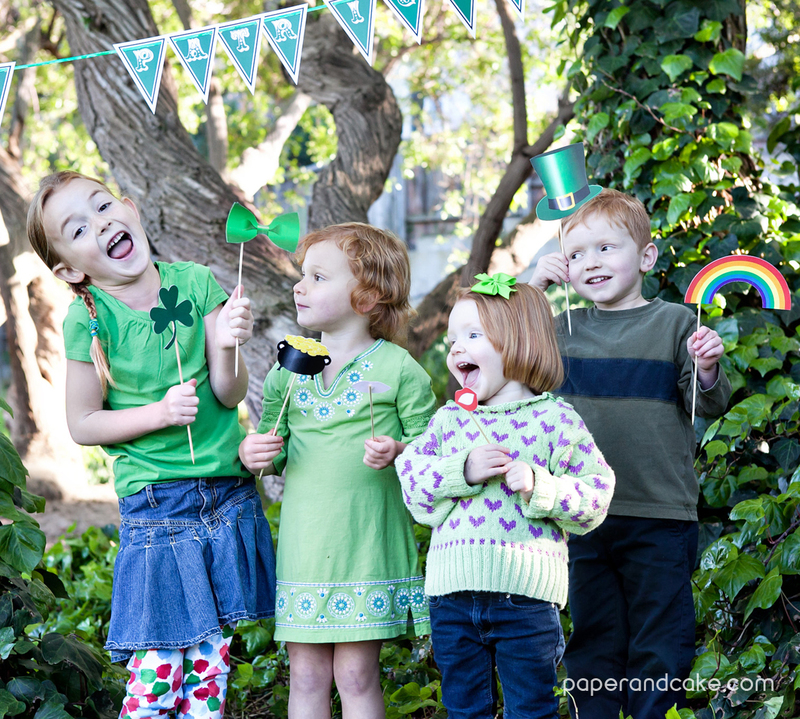 You’ve seen our St. Paddy’s Photo Props before… but wait! We’ve added a few new additions to bring to the party! 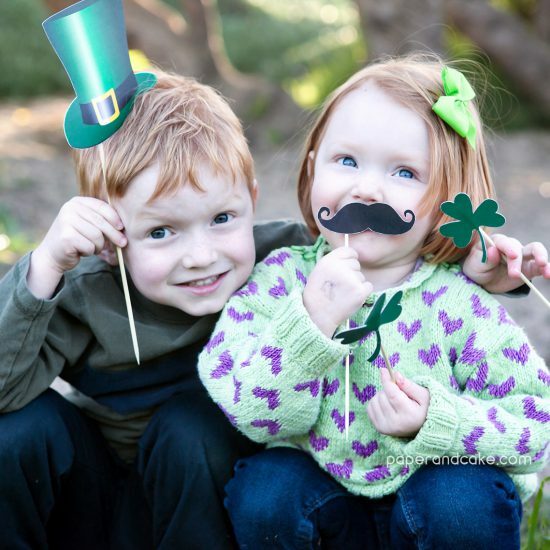 We took our already super cute photo prop collection for St. Patrick’s Day and added a few new props for the adults. 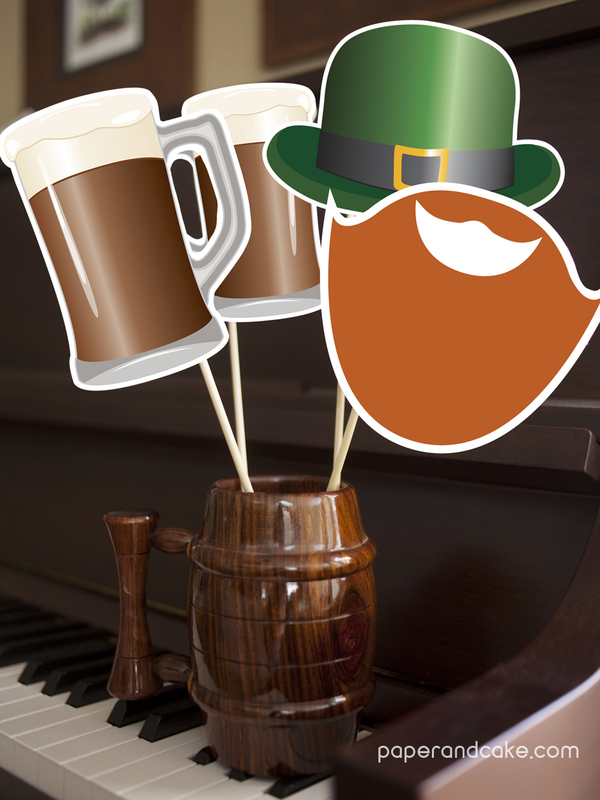 The new items include a new style of leprechaun beard, two beer glasses, and a leprechaun’s bowler hat! Bring these to any St. Patrick’s Day party or get together and make some memorable Instagram shots. Be sure to hashtag #paperandcake!